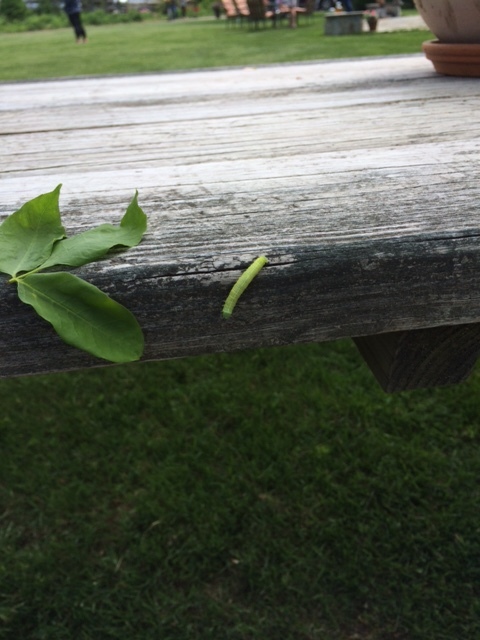 Cankerworm | Welcome to Connecticut Arborists! The “worms” are back! Cankerworms are a type of caterpillar that lays eggs in both the fall and spring. Their eggs hatch into ravenous little offspring that will literally eat every leaf in your neighborhood (and quickly — a swarm can eat the canopy off an oak in just two days). Willow oaks are the prime target for these creatures as well as elm, apple, hackberry, basswood, oak, box elder, maple, and ash trees. They won’t kill it all at once, but if a tree (especially a very old willow oak) has all or most of its leaves eaten in the spring, it has to expend more stored energy into creating more leaves to photosynthesize during the summer. This leaves the trees more susceptible to pests, disease, and other fatal conditions. So, consider the condition of your tree before banding or spraying which can help with the control of these invasive critters.